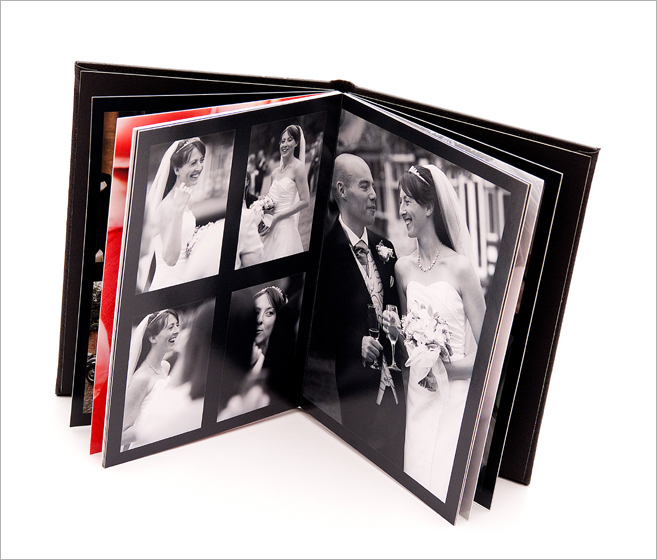 Most customers enjoy designing their own album in a simple process with templates supplied by us. Although we are always happy to design it for you and this is included in the package fee. The albums are available in various sizes and page finishes. The popular sizes are A4 (A5 for parent books) and these are the sizes supplied in the packages. Albums are finished with matt pages as standard, although metallic finishes are proving increasingly popular and this adds as little as £50 per main album and £60 per pair for parent albums. Black and white has never really been out of fashion for portraits and weddings, it is stylish and timeless. The images for your album can be changed to black and white photographs at no extra cost.